Langtang Gosaikunda Helambu Trek is an incredible journey through the rhododendron forest, ethnic Tamang communities and exploring the breathtaking views of the snow capped Himalayas. The trip includes a day sightseeing in Kathmandu and the foothill excursion begins from Syaphrubesi. The first destination of the trek is Langtang valley, which is prosperous in Tamang culture and hospitality. Passing through the lush woods, you can reach to the ancient villages of Langtang. Hike to Tserko Ri is another brilliant part of the trek that offers you the mighty peaks of Langtang Liring and its surrounding range. 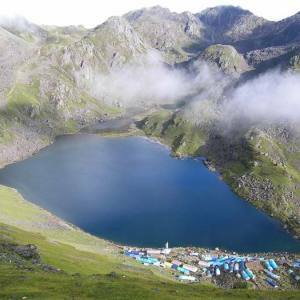 Gosaikunda Lake is another destination of this trek, which is a sacred destination in the Langtang National Park. The Lake is a Holy Lake, believed to be created by Lord Shiva. 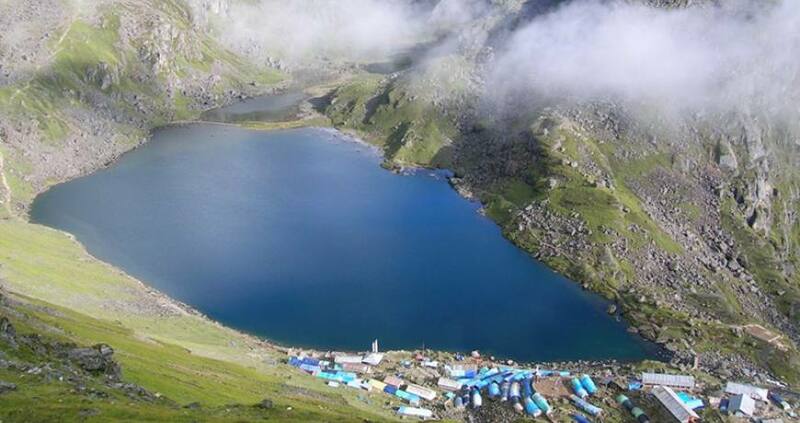 It is surrounded by other Lakes and Gosaikunda peak entices you. The challenging part lies at 4610 meter high pass, known as the Lauribina Pass. Walking through the steep down trail, you descend to the Helambu valley, which is the third destination of the Langtang circuit trek. It is a remarkable destination with the ethnic cultural heritages and the beautiful Sherpa cultural affluence. Naturally, it is a picturesque paradise. Trekking through the Helambu trail offers you a brilliant opportunity to experience the hospitality and explore the cultural abundance. The trek ends at Melamchi and drive to Kathmandu. Nepal Kameleon Holidays offer 17 days budget Langtang Gosaikunda Helambu trekking with professional Langtang guide, perfectly designed itinerary and the required arrangements. Day 01: Arrival in Kathmandu (1,300m) and transfer to hotel. Day 02: Kathmandu sightseeing and trek preparation. Drive Kathmandu - Syabrubesi, Melamchi- Kathmandu. Full board meals and accommodations during trekking (B,L,D,A). Salary for the guide and porters. Nepal Kameleon Holidays T-shirt and trekking map. Day 01Arrival in Kathmandu (1,300m) and transfer to hotel. Day 02Kathmandu sightseeing and trek preparation. After the trek, you may be interested in Chitwan Jungle Safari Tour. Please, have a look. It is the most popular wildlife safari in Nepal.